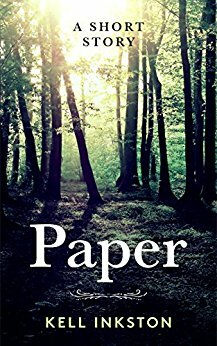 Paper tells a story of a village suffering the effects of evil Overlord’s reign supported by his lies and people’s ignorance, intent on bringing the demise to the village and its inhabitants. The hero of this generation of villagers was supposed to be Ralic the Twelfth, as were his ancestors for earlier generations. However, the secrets surrounding his quest are greater than anyone could imagine. Fortunately for the village, there is one exceptional person, an unexpected hero of the village, who sees through the deceit and fights for the village in his stead. This was an amazing story of few exceptional people fighting against ignorance, showing the rest of their folk the dangers of believing in invented myths, and lead them into a new era of educated prosperity. Similarly to Paper, Nail also tells the story, several generations after the fall of Paper’s Overlord, of a village suffering even greater effects of the evil Overlord’s reign supported by his lies and people’s ignorance, this time intent on using the hard work of the villagers for his own benefit. Fortunately for these people, Ralic the Fifteenth, from the village of Qetaine comes to their aid, albeit unexpectedly and unknowingly. The ignorance of these villagers is even greater than the ignorance of his ancestors was, and it takes all of his determination and ingenuity to survive, and save the folk of the village which finally gets its name in the end. At the end of Nail, there is a tentative announcement of more stories coming and I sincerely hope there will be more, as Paper and nail are exceptional modern fairy tales.